Blast from the past into the future with our eclectic home styles from the classic decades of the 20th century. 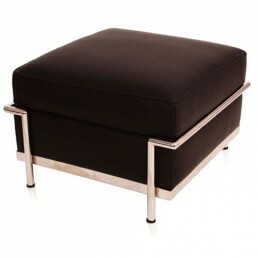 Retro furniture looks amazing in a contemporary modern designer home or a stylish commercial environment. Our collections include faithful reproductions from the 1900's, 10's, 20's, 50's, 60's and 70's by the prodigious modern designers of those former times - Respecting the past whilst embracing the present. 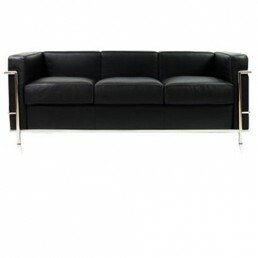 Charles-Edouard Jeanneret, who prefered to be called Le Corbusier (October 6 1887 – August 27 196..
That said then retro style furniture is furniture that belongs to past times. This can be the vintage style from those times or the style of art deco modernism - Where progressive designers created furniture designs the same as how they saw the future. The furniture collections seen here are therefore "Retro Modernist Furniture" - very interesting and collectible too. To many, to 'go retro' means to look to the past and experience how those people thought the future would be. This style has its roots in all the decades from around the 1910's to the 1980's, with the most renowned being the 20's, 50's, 60's, 70's and 80's. 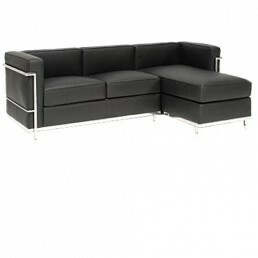 The first "Retro Modernist Furniture" was created over 100 years ago in 1910, when Josef Hoffmann designed and produced the 'Kubus sofa', which at the time was 'out of this world'. The design was based of 'Cubism'. This sofa was new and very contemporary featuring a striking design without all the frills or patterns as seen on everything else. 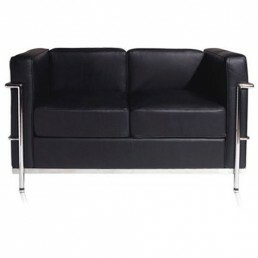 In the 1920's there were many new concepts, such as the 'Le Corbusier LC4 Daybed' and the 'LC2 Sofa'. 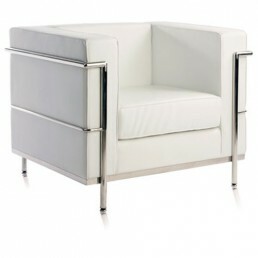 From the 1950's forth the modern style dominated and was omnipresent being available to the masses at affordable prices. Sleek furniture was positioned with brightly patterned wallpapers and fabrics. New technologies and materials, such as particle boards and Formica, were also embraced. The 1960's was much more spirited and heady being massively influenced by the pop culture, with psychedelic colours and amazing patterns. Technology had an increasing influence with the invention of molded plastic and glass fibre furniture, such as the 'Ball Chair' and the 'Panton Chair'. In the 1970's furniture lost it's sleek quality and vibrant colours. Fashion became more chunky and substantial. Bright, vivid colours shifted to nature with the accession of 'mother earth' colourways - Namely brown! The last decade of major influence, for the time being at least, is the 1980's. Art Deco had a huge influence on decor style. 1980's interior design was complex and intricate at times. Striking shapes, curves and metallic accents coupled with the return of vivid colour schemes forged the 80's look. Look at the pictures on the right, can you guess the original decades of the designs? So in conclusion we can see that, looking back and looking forward, the "Retro Modernist Furniture" theme played a monumental role in the advancement of contemporary modern furniture and it will absolutely continue to do so. The next decade we need to examine is the 1990's. I seem to recall that everything was minimalistic with black, grey and beige colour schemes - And Ikea as the source of much inspiration. Was that really true? Will it come back into vogue and become retro?